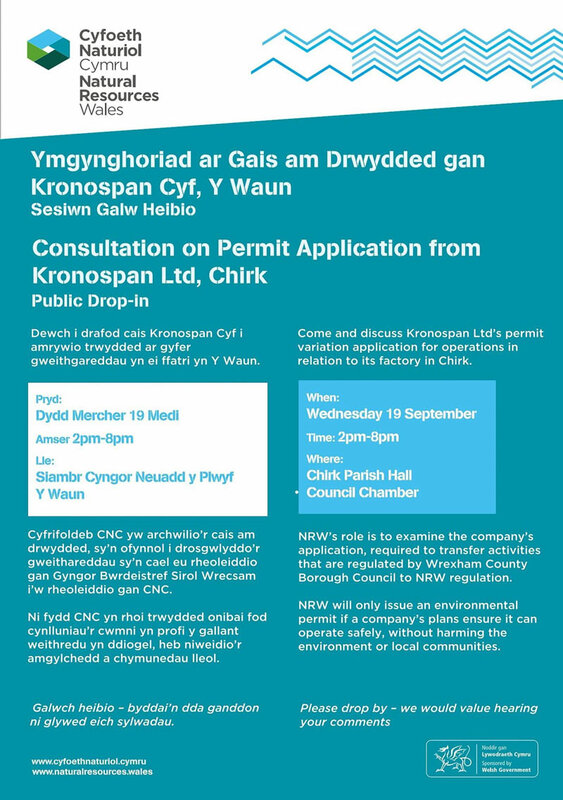 Natural Resources Wales (NRW) is consulting on a permit variation application needed to operate the Kronospan factory in Chirk. Kronospan Ltd has applied to vary its environmental permit, required to transfer activities that are regulated by Wrexham County Borough Council to NRW. NRW say their main aim is to make sure that the wood-based panels factory is regulated ‘in a way that will bring about environmental improvements’. 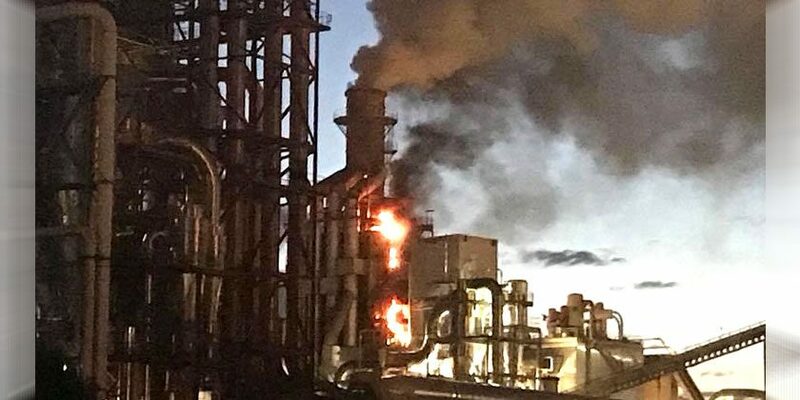 Lyndsey Rawlinson, North East Wales Manager for NRW said: “We only issue an environmental permit to a company if we are completely satisfied its detailed plans make it clear that it can operate safely, without harming the environment or local communities. Information about the application to vary the permit and how to have your say can be found on this dedicated page on the NRW website or email permittingconsultations@naturalresourceswales.gov.uk for a copy of the application. Top pic: Our most recent image of Kronospan when it recently suffered a large fire.